'Tis the season for lots of sparkle! 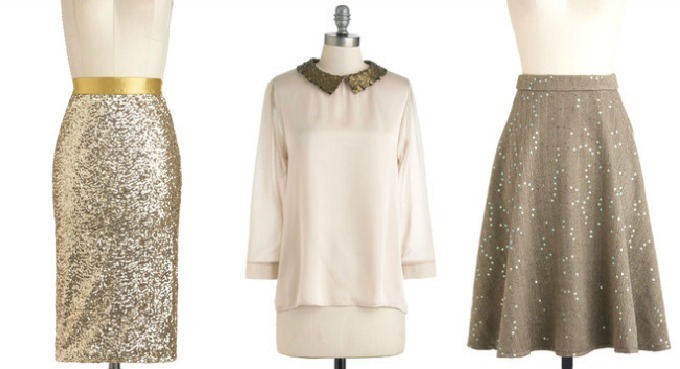 Lately I've been seeing sequins all over the place in stores as well as through online retailers. Maybe even more so than last year, if that is possible. I may have even snagged a pair of sparkly tights to pair with my Thanksgiving dress, but that's for another post. This is my newest sequin top that I got on a sale at H&M and I wore this on a casual day out, but i can't wait to pair it with something else a little bit more fun and wear it to a holiday party. Here are some more expensive options I wish my wallet could afford. I love sparkles so much but never really feel like I can pull it off. Love that last skirt though! Understated enough that even I could handle it. 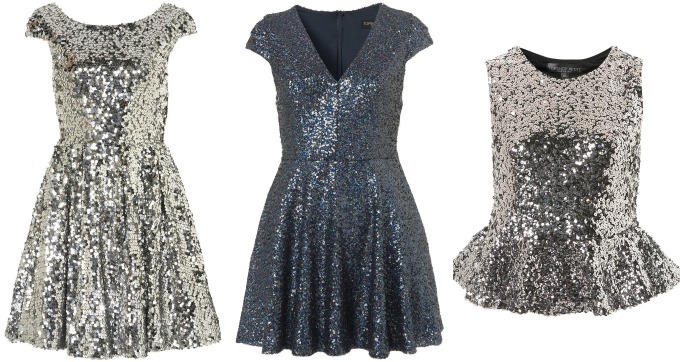 I'm loving all the sequins! I would love nothing more than a sparkly silver like the one in the third column! I love the sequins with the cowboy boots, it's so unexpected! That is such a cute sweater and I really love the pale pink with the cowgirl boots! Oooo! Sequins! So perfect for the holidays, especially the new year!